Kameron Matthews is a board-certified family physician and currently serves as the Deputy Executive Director of Provider Relations and Services in the Office of Community Care at the Veterans Health Administration in Washington, DC. 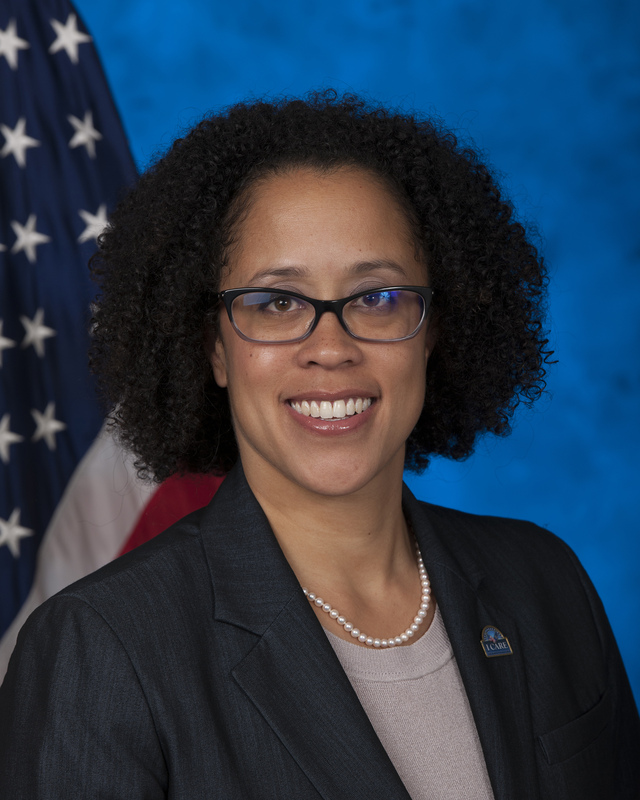 She is responsible for the community-based provider network that increases access to care for veterans nationwide, the national contracts that administer the network, as well as the associated quality and patient safety initiatives. Dr. Matthews graduated from Duke University with a bachelor’s degree in public policy studies in 2000. She then earned her MD from Johns Hopkins University and her JD at the University of Chicago. She completed her residency in Family Medicine at the University of Illinois at Chicago. Dr. Matthews has since focused her career on underserved patient populations, having worked previously as a staff physician at Cook County Jail and with Erie Family Health Center, a large community health center also in Chicago. She most recently served as Chief Medical Officer of Mile Square Health Center within the University of Illinois Hospital and Health Sciences System, overseeing twelve federally qualified community health centers. She also served as a Medical Director with the System’s Department of Managed Care. As a passion outside of work, she is proud to co-direct the Tour for Diversity in Medicine (T4D), an initiative seeking to bring premedical enrichment activities to minority high school and undergraduate students across the country. Founded in 2012, T4D has provided exposure, mentoring, and motivation to more than 3000 students across 26 states with upcoming visits to additional states and campuses planned.